I like to give it a day or two before commenting on something like the past weekend rematch between Conor McGregor and Nate Diaz bout. That gives the more casual, fly-by fans time to clog the discussion with their too often limited and pedantic reactions, and then time again for those initial reactions to be flushed away and forgotten. So with that said, and now that some time has passed, let’s talk a bit about the fight, shall we? ABOVE: Conor McGregor’s left hand is among the most feared weapons in all of MMA – and for good reason. It is snapping thunder that has sent many an opponent crashing to the canvas. Much was on the line for the Irish fighting champion. His previous second-round defeat to the taller and heavier Diaz was a pivotal moment for the often brash and confident Irishman. 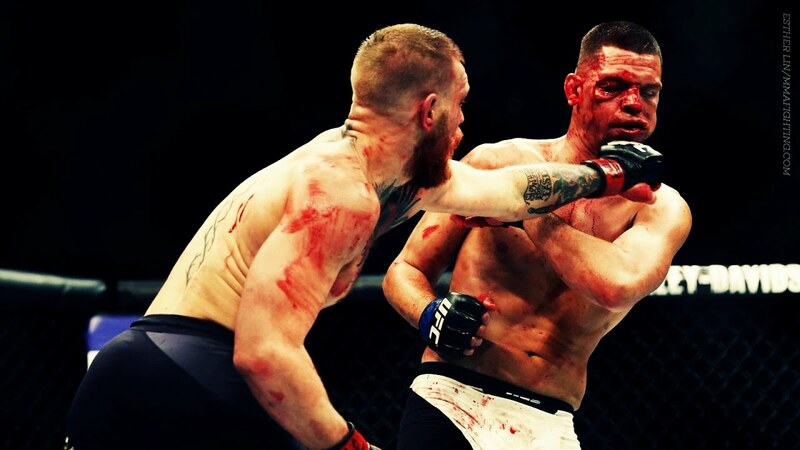 With his seeming invincibility torn asunder, and his standing as a world class fighter in question, Conor McGregor faced the challenge of facing off once again with an equally determined and dangerous, Nate Diaz. Make no mistake, McGregor is the more talented fighter to Diaz’s glowering brawler. What makes Diaz so formidable is his combination of great stamina and ability to absorb enormous amounts of damage. McGregor learned to respect those abilities too late in their first fight that saw the Irishman charging hard the first round but then gassing out early in the second. A bloodied Diaz shook off the damage and stepped up the pace as McGregor faltered and then soon after, tapped out after Diaz applied a rear naked choke. McGregor had prepared for a different, smaller opponent who then backed out of the contest at the last minute, leaving the always-willing-to-throw-down Diaz to fill the void with just ten days left in camp for both fighters to prepare. Conor McGregor is a a student of the sport, a rare mix of power and tactical abilities – meaning he benefits most when he is allowed time to prepare so he can learn an opponent’s weaknesses that will make them most vulnerable to attack. McGregor didn’t have the benefit of that preparation when he first fought Diaz, but both men were given ample time to prepare for their rematch bout, and there we saw McGregor take the early rounds, steal the fourth round, and thus, carry the decision. When Nate Diaz loses, he loses most often on points, not knockouts or submissions. If a fighter hopes to defeat him, they must approach the fight tactically, pick their spots, and reserve their energy, for there will come a time when Nate Diaz will press the bout, try and weaken his opponent, and and then take the fight to the floor where his proven ground game has earned him the greatest percentage of his victories. It’s something I learned long ago. You don’t box with a boxer, brawl with a brawler, or wrestle with a wrestler. When one fights, you do your best to ensure you do so on your terms, not your opponents. Accomplishing that, increases one’s chances for victory considerably. And THAT is what Conor McGregor managed to do this past Saturday. It was an epic, fierce, and at times, brutal battle between two men who are now perhaps the brightest and most capable stars of their sport. The clash was brilliant, and begs for a third trilogy bout sometime in the future.